Even if you live in the best neighborhoods, as a homeowner, you’re always concerned with home security. It’s too scary to go into stats of home invasions and break-ins and such, but the best thing we can do is to secure our homes with quality and efficient security options. 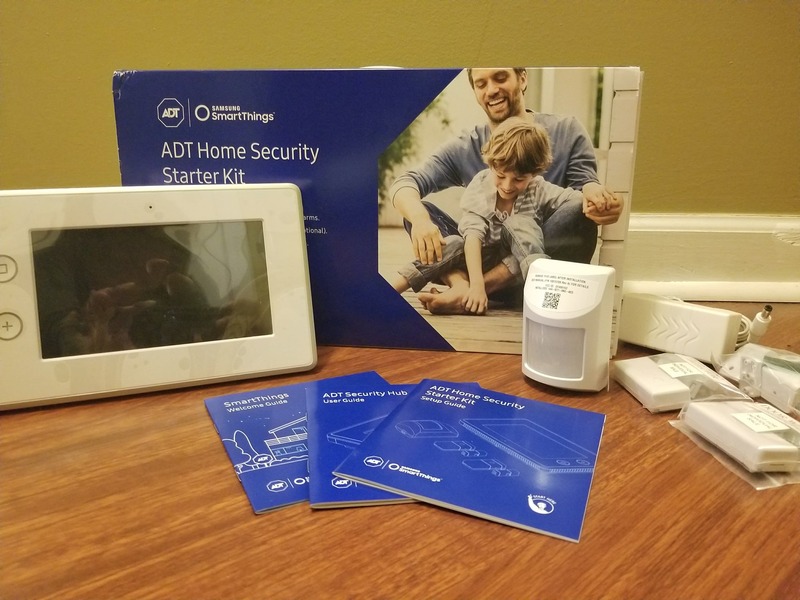 I’ve recently been asked to review the brand new ADT Home Security Starter Kit by Samsung SmartThings, which I’ve found offers some of the best automation features for every modern home. *Smoke alarm, carbon monoxide detector, and leak detector are available through the expansion kit. One thing that you love about this smart home security system is the hub display. The hub display is easy to operate, and it is also user-friendly enough so you don’t have to waste much time navigating through the display. You can enable and disable the system just from the display. The main purpose of having a smart home security system is to allow for easy to control accessibility and automation. The SmartThings app helps you control your sensors and other devices that are connected to it so controlling your home is basically at your fingertips. Of course, motion sensors are meant to help you monitor the people coming in and out of the home. in particular areas of the home. The sensors are very easy to install, but they are also sensitive, so you’ll want to make sure you place them in areas that make the most sense for your home design. When looking for a smart home security system, you have many choices to consider. These are just a few reasons I loved this system. Because every home is unique, the customization aspect is important. With Samsung + ADT, Smart Home Security System connectivity is customized to your needs via the app, which will allow you to connect all the smart devices that you have in the house. It is important to allow buy a security system that is easy to use. Ease of use will allow everyone in the house to use the system without any problems. You don’t have to waste time figuring out how the system works. Efficiency is everything when looking for good smart home security! The motion sensors and compatibility with other devices are huge for me as I use this product. I’m still learning of other ways to connect my home sensibly, but I’ll be sure to keep you posted! Disclosure: This post is sponsored by Best Buy. As always, all opinions are mine alone.